UCPG Chair Chris Nielsen announces the Community Plan Update Subcommittee will meet on Tuesday, February 12, from 5:30 to 7 PM. 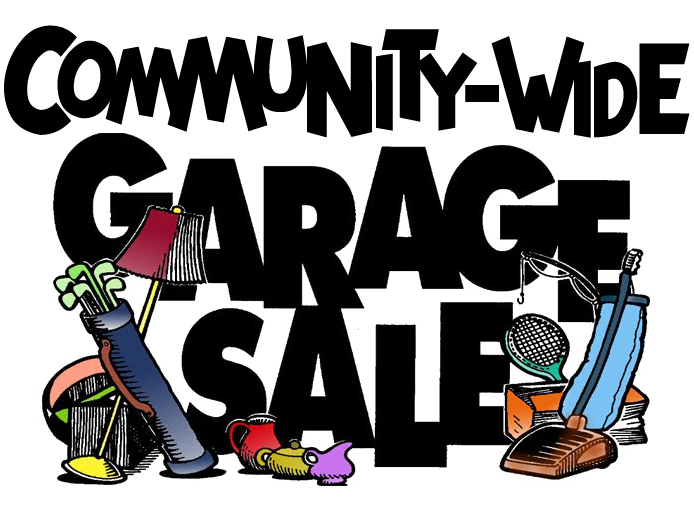 The location is 10300 Campus Pointe Dr., 2nd Floor, above the Green Acre Restaurant. Lots of open parking at no charge. 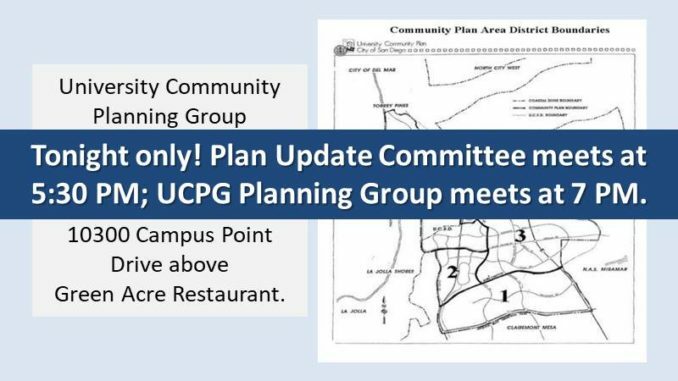 The University Community Plan Update Subcommittee is a subcommittee of the University Community Planning Group (UCPG), which is the City’s recognized citizens’ group for the University Community. This subcommittee was created specifically for the Community Plan Update in order to provide feedback to the City regarding the process. The University Community Planning Group (UCPG) will also meet on Tuesday, February 12, but with a new start time; UCPG meets from 7 PM.